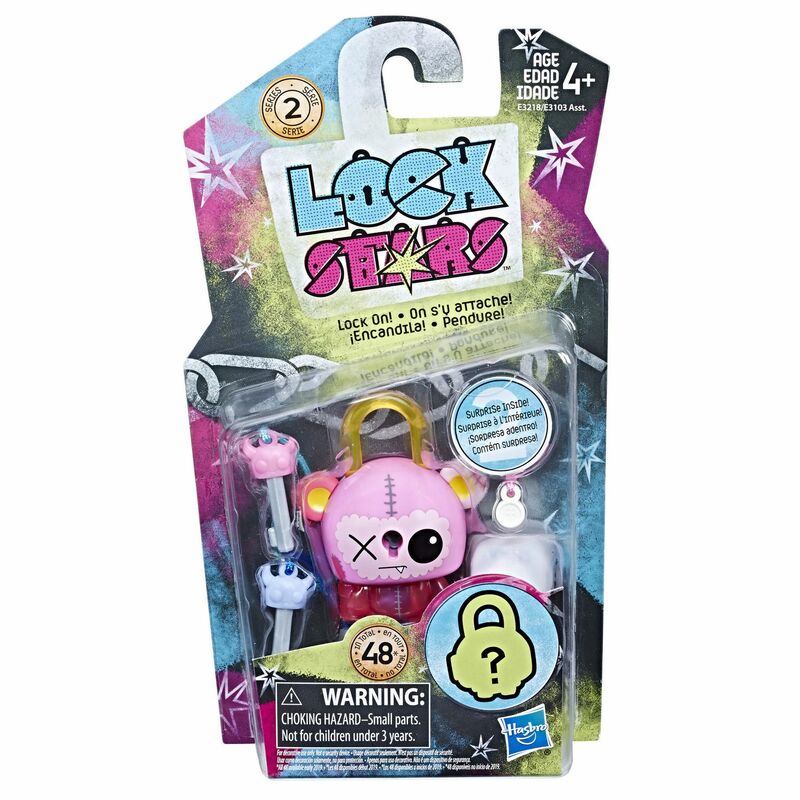 Lock on with Lock Stars figures, the collectable lock accessory that’s full of surprises! Each Lock Stars figure includes 2 keys, 2 charms–1 hidden in the belly–and a mystery mini lock pal. Use the key to open the lock figure and reveal its hidden surprise! 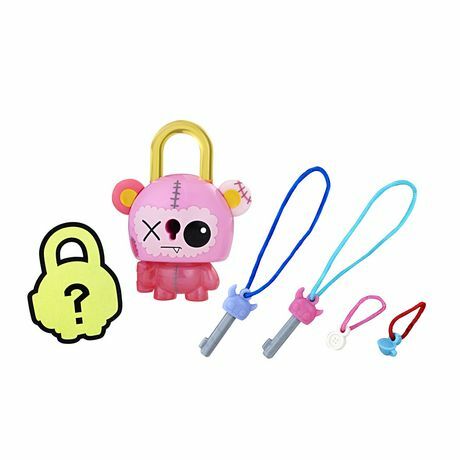 For added surprise, the mini lock pals are randomly assorted, so kids don’t know which one they’ll get! Receive 1 of 24 different figures. Kids can collect more or trade with friends to try to pair mini lock pals with their Lock Stars figures. Rock these locks on backpacks and more, and look for the "superstar" lock! 24 Lock Stars figures and 24 mini lock pals to look for in Series 2. (Lock Stars figure with mini lock pal each sold separately. Subject to availability. All 48 available early 2019.) For decorative use only. Not a security device. 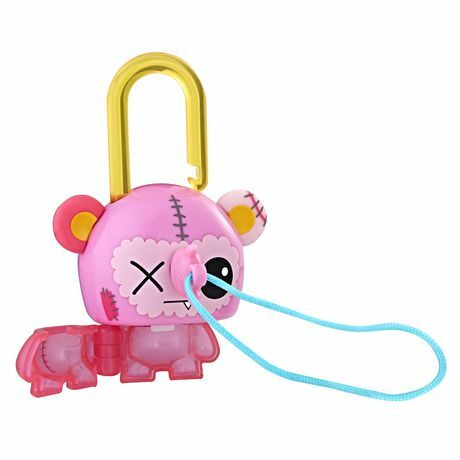 NOTE: Included mini lock pals are randomly assorted, and there is a possibility of receiving duplicate mini lock pals when ordering more than one pack. Specific mini lock pals cannot be requested. The picture shown is for reference only. Actual mini lock pal may or may not match the mini lock pal shown in the picture. Lock Stars and all related properties are trademarks of Hasbro. Includes 1 decorative lock, 2 keys, 1 mini lock pal, and 2 charm accessories. For decorative use only. Not a security device.